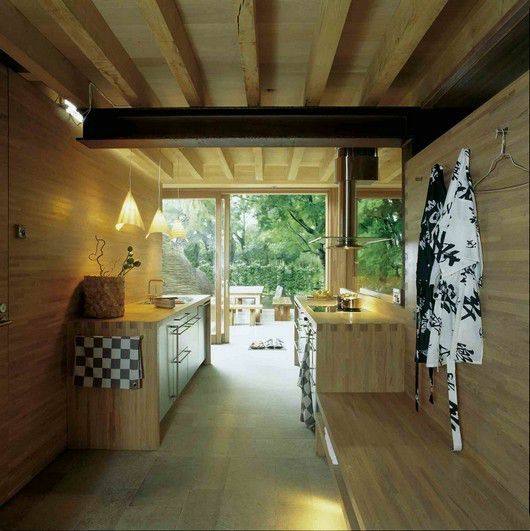 Wingardhs Mill House in Vastra Karup, Sweden is a manifestation of the Swedish ritual of sauna and bathing. Well I think they nailed this one. This house probably cost a pretty penny (therefore not an option for most of the people on the planet) but I couldn’t resist posting it due to the sheer beauty of it. This place is basically a small vacation house with a sauna and an adjacent pool for the post-sauna-dip. I could live this way. How about you? Check out the rest of the photos courtesy of Gert Wingardh and shot by James Silverman. Small maybe, but cheap? Noooooo…: Nice house, beautiful house. 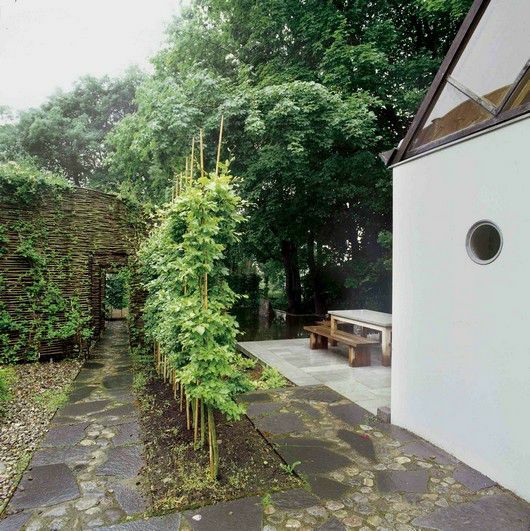 This is a very tranquil house, not too small, very nature oriented. Love the water right outside. People live in & take up too much space anyway. I hope no one’s sitting on the couch while someone else is frying bacon. That’s not really all that small. I lived in a 330 sq ft efficiency for two months, that was pretty small. If it weren’t for the murphy bed, you couldn’t have walked from the bathroom to the kitchen. Yes it is design the decision for increase in the area. Wow, that’s a beautiful house. Excellent! How does the fireplace design work for you? 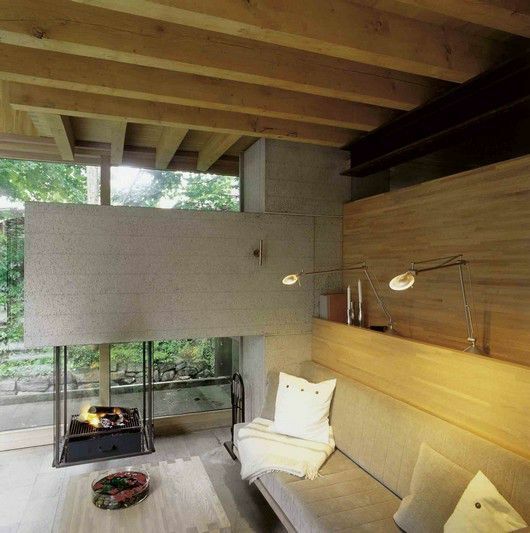 yes, that fireplace. three sides glass? good way to finesse the open fireplace subject to all the meandering breezes. how DOES it draw? and do the glass panels discolor? elegant, clean and yes, that fireplace. three sides glass? good way to finesse the open fireplace subject to all the meandering breezes. how DOES it draw? and do the glass panels discolor? wow! When can I move in? 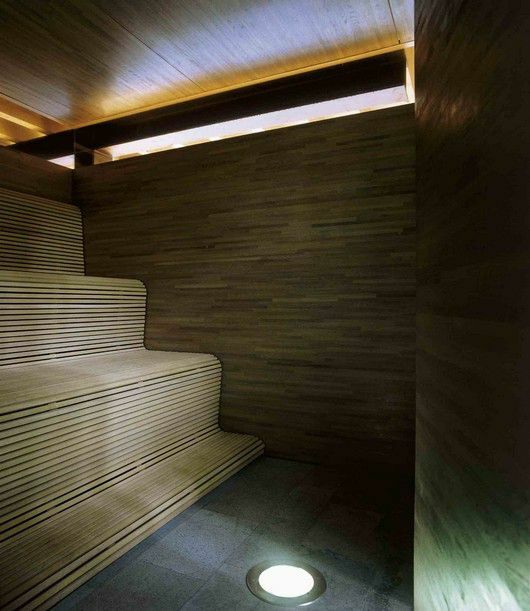 love the sauna! Hi! very pleasing home,with the cost of energy going up and up it would not be feasible in cold winter climate of north america.Maybe if there was a house for -30 degree weather with this pleasing looks and living area..
Ethereally beautiful. I want to sit near the fireplace and dream. I don’t think that the designer was aiming for sustainability. I don’t think the wood is excessive at all. 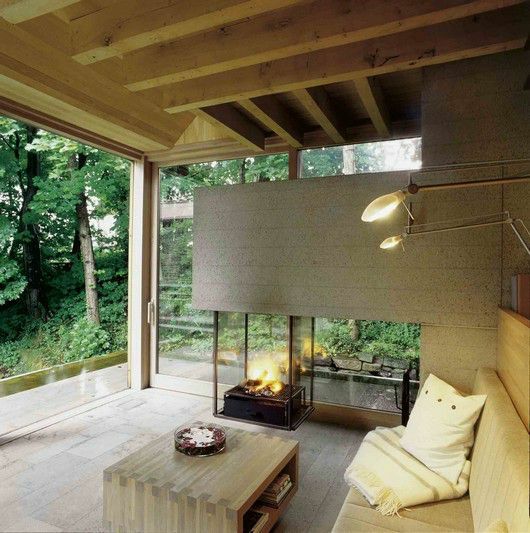 For me the fact that the house is basically made of wood, concrete, and stone tile(?) 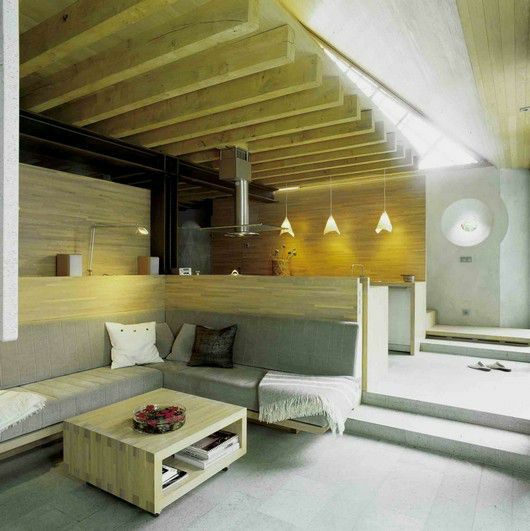 makes it a really cohesive….minimal house. It flows together beautifully. I doubt any of the owner’s gripes have anything to do with frying bacon with guests over. I love the idea but what is the price of a construction of this type. Can these houses be built any where ? There are houses such as this in Finland (well, not sure about the roof material) and we get -30 temperatures from time to time. 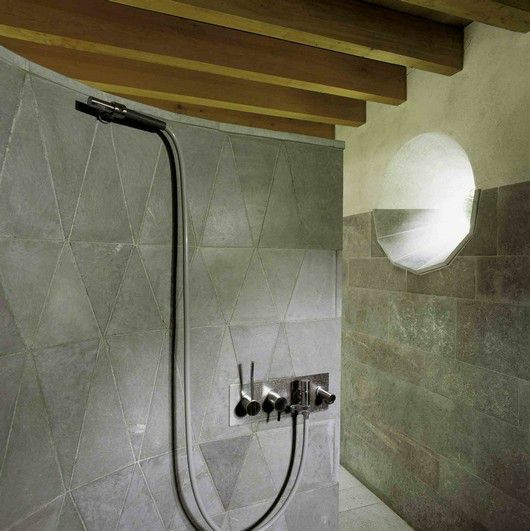 The insulation of the walls and glass walls just needs to be good – there’s nothing more to it. Wow, thatâ€™s a beautiful house. 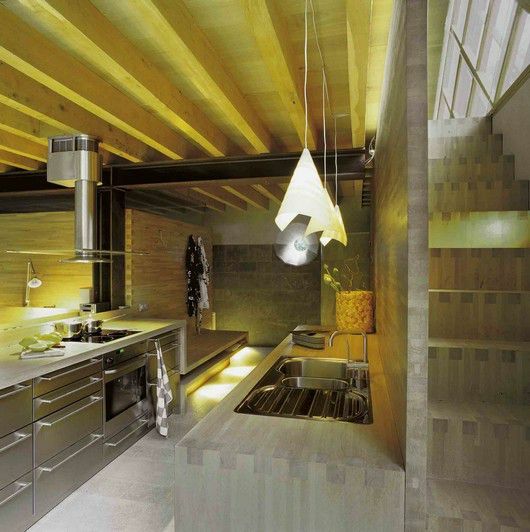 I love the simplicity in which its designed and interior decorated. Looks like the cost efficient house that a young couple would enjoy. . . . I was amazed how easily the tranction from inside to out. As if one becons to the other. 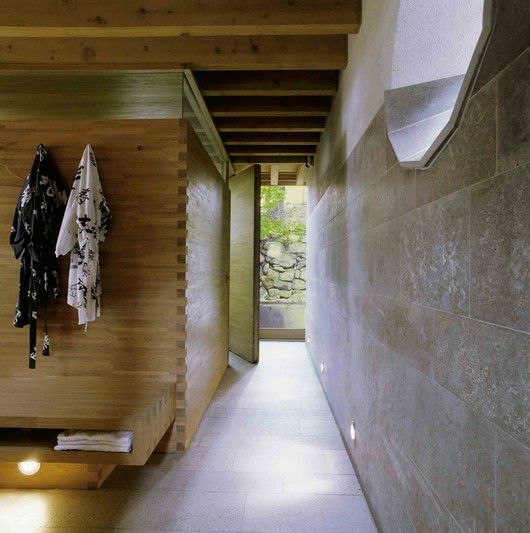 The house has a cozy feeling to it yet it connects you to the outdoors. I could see me living in this house up in the mountians somewhere. 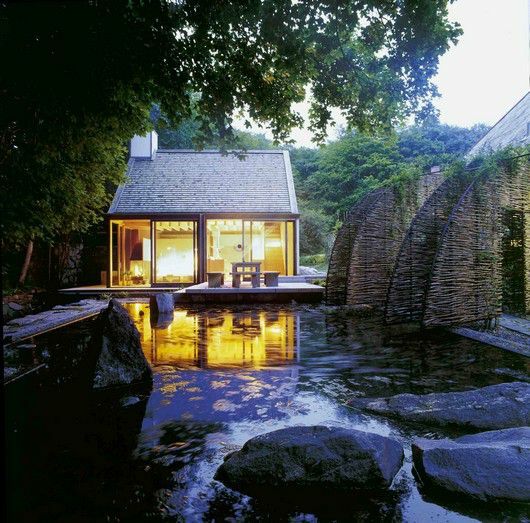 Very beautifull, japanese-style summer cottage. I do not believe that living in that hause all year long is possible, in Sweden or Finland, yet. Maybe later, when climate is milder and you don’t have to keep it warm. Typically houses in Finland have 4-layer glass in their windos, and still it is just windows that leak the warm out. Wood is sustainable. The stuff grows on trees. Unless you don’t have forests where you are. I like the pool and some of the outside arrangement. 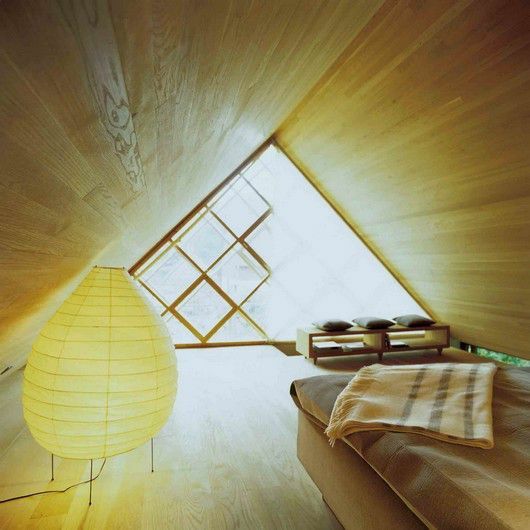 I don’t think I like the geometries of the house itself, especially that uncomfortable peaked ceiling over the bed. 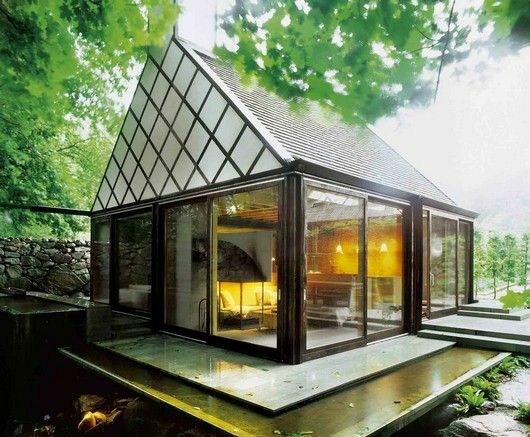 Very sustainable indeed, wood and glass. When it get’s old, recycle it. Beautiful place, has a warming feel to it. I love the pattern in the staircase. Very unique. Here at SmallHouseStyle we love aesthetics, beauty and form, but cost of living is definitely an issue. If you haven’t seen our post on another amazing design, the C3 by Vandeventer + Carlander Architects, you should check it out. The plans came down in price recently and our bet is that the C3 is much cheaper to build than the Mill House. Could a house such as this be built in Africa and at what cost !!!!! Wow, I love this house! It’s so cute! Wow… simply amazing… VERY nice. Not very practical though. Not bad for a small house.Good proportion and excellent details.But where do I park my car? I guess I can live without the automobile.Out of sight,out of mind. Cool. But I don’t want to rent it, I want to own it. Communism rules, under Communism you and I and everybody can use it! When can I move in? Post the address, phone number and other details of the owners so that I can give them a call! 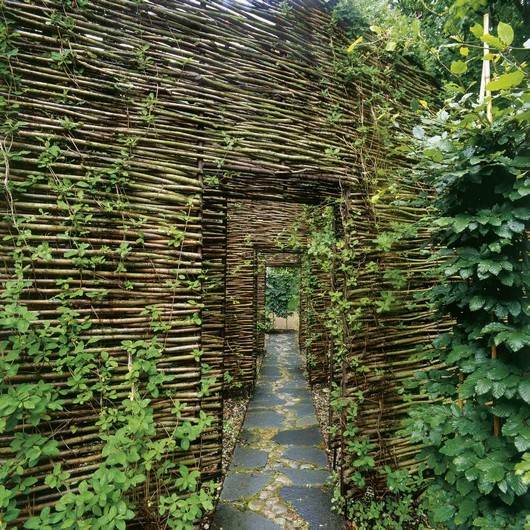 I just love it,so awesome good hide away,from everyone..
love the garden bit with the maze of weaved walls. 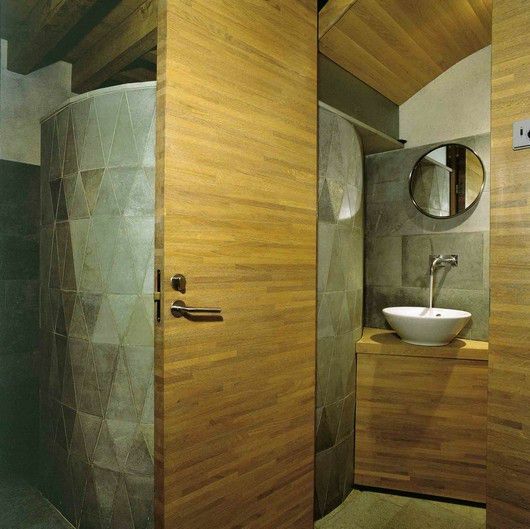 This is not a house…itÂ´s two geometrical figures combined..
where do you put dirty clothes? or do you just walk around naked all the time? Cool,bro`.Can I build one?Pleeeeez . . . . This place is like a dream come true inside and out for me! Too much wood, Where do you eat? Terrible place for the stove. 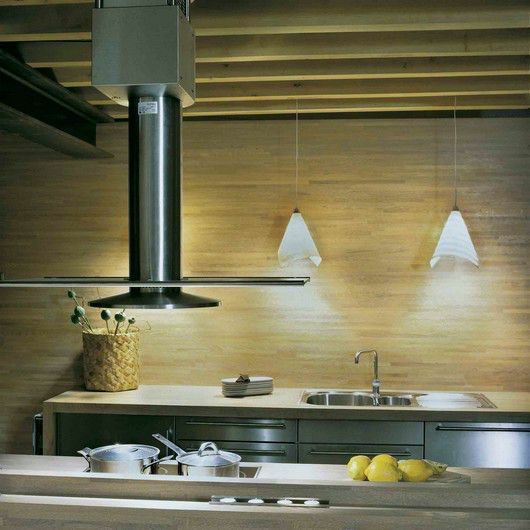 (food splashing in LR) Why not put the stove on the outside wall and vent it outside?. 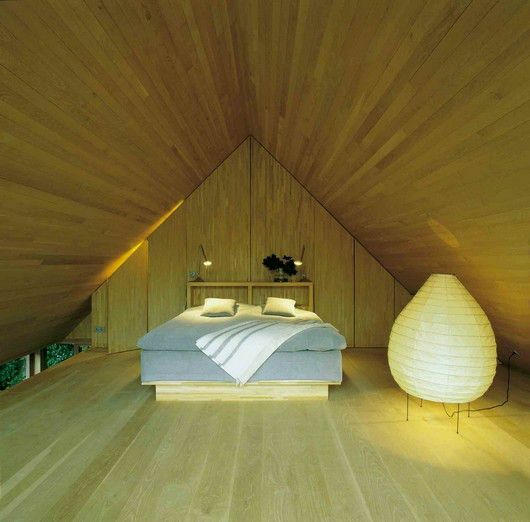 Wood overkill in the bedroom. I like the seating and half wall and really like the small functional Kit layout ( stove placement aside). 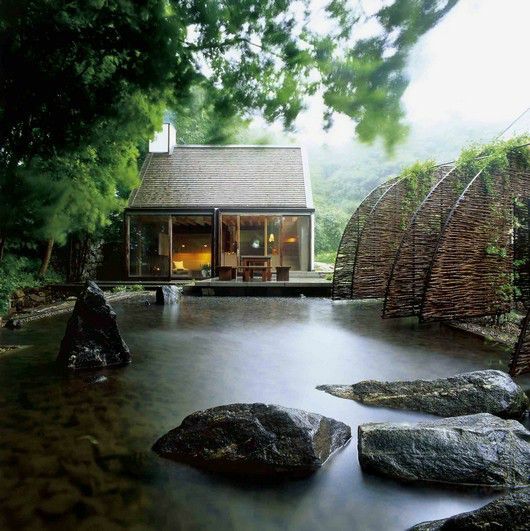 Love the water and site layout. outdoor patio is sweet. Overall it looks a bit overly designed and thought out for my tastes. Fewer design clues and a slightly more relaxed geometry would benefit this house. At least for me. 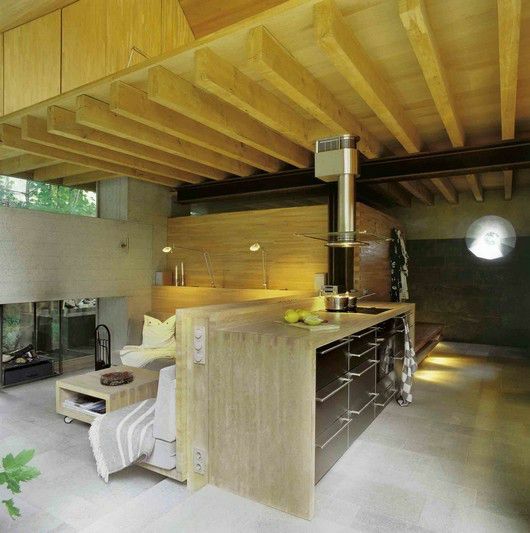 Cool haus, pleasing design, but too too much wood! No Shai, Don’t kid yourself just yet. Not to this degree it’s not! A little bit of everything is just right! How does one get blueprints to this home, and how does the fireplace work? how DOES it draw? and do the glass panels discolor? How many square feet in the home and Aprox price per sq. ft to build? Please reply very interested. The best way to get any of that information is to contact Wingardhs directly. There is a link in the post. Let us know what you find and best of luck. We’d love to see pictures of your Mill House! Are there a lot of bugs that get in the house? Cool. 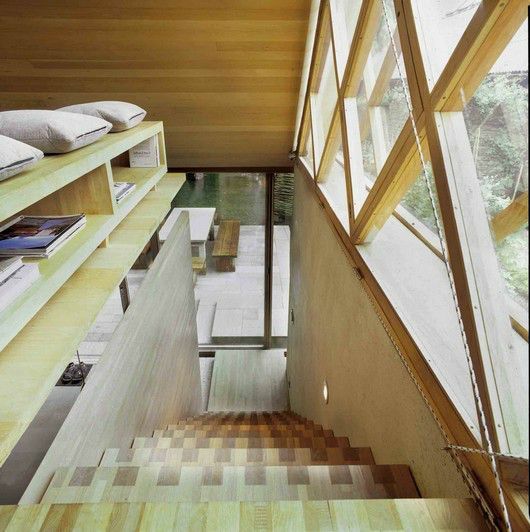 As can be sense in small architecture much! p.s. i’d worry more about water snakes than bugs anyway! can i get a blue print of this house? Hi Vincent, You’d have to contact Wingardhs. Let us know what you find. Would like to know more. Me gustaría comprar una casa de estas características para poner en un centro de ski en Chile. ¿Cuanto me costaría? Looks like a small house but when you look inside of it, wow it is big and amazing. i would live to live in a place like this. Actually it looks like a peaceful house. My favorite part is the room in the attic. It is so perfect. the interior is nice. Oh i just stumbled it too and i enjoy the house! Would building it without the sauna and pool lower the cost? I live in australia and would love to build it here! And I have the blue prints and have changed the sauna into an office/spare room without changing the size.